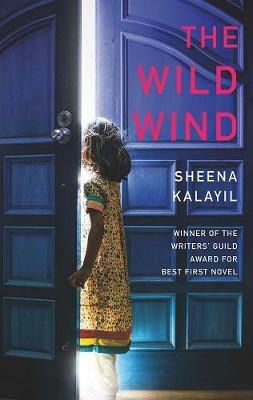 October 2013 Book of the Month. 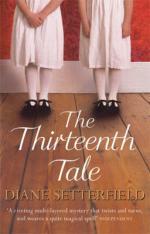 Author of the impressive The Thirteenth Tale with another powerful historical novel with a strange twist and a certain amount of mythology about rooks! Set in Victorian England, it concerns the life of William Bellman who appears to sell his soul to Mephistopheles (Mr Black) and becomes obsessed with opening a massive mourning emporium in London; everything for funerals to suit every pocket. Gripping, strange, different and atmospheric, it is just right for Hallowe’en. 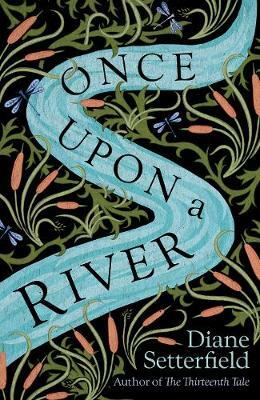 The long-awaited new book from the author of The Thirteenth Tale is a macabre haunting Victorian story of love, loss and the mystery of death. A young boy by cruelly kills a rook with his catapult that sets off a tragic chain of events and a meeting in a graveyard with a mysterious stranger dressed in black. A mysterious, dark read that will leave a lasting impression. In addition to our Lovereading expert opinion for Bellman & Black a small number of Lovereading members were lucky enough to be invited to review this title - 'If you want a creepy story, that will haunt you, one perfect, for a cold winters night, then let Dianne Setterfield's book, do it, Take a ride, on the back of a rook, into the world of Bellman & Black..' - Angela Rhodes. Scroll down to read more reviews. As a boy, William Bellman commits one small cruel act that appears to have unforseen and terrible consequences. The killing of a rook with his catapult is soon forgotten amidst the riot of boyhood games. And by the time he is grown, with a wife and children of his own, he seems indeed, to be a man blessed by fortune. Until tragedy strikes, and the stranger in black comes, and William Bellman starts to wonder if all his happiness is about to be eclipsed. Desperate to save the one precious thing he has left, he enters into a bargain. A rather strange bargain, with an even stranger partner, to found a decidedly macabre business. And Bellman & Black is born. We have asked a select number of members and browsers to review Bellman & Black. You can read their reviews below. 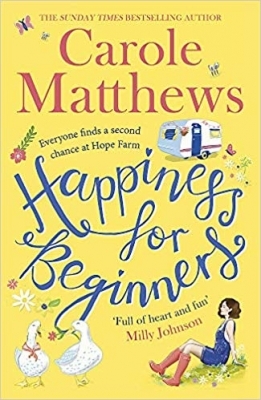 Gill Wilmott - 'A skilful quirky book, written by someone with a bright unusual imagination, that I really enjoyed reading.' Click here to read the full review. Angela Rhodes - 'If you want a creepy story, that will haunt you, one perfect, for a cold winters night, then let Dianne Setterfield's book, do it, Take a ride, on the back of a rook, into the world of Bellman & Black.' Click here to read the full review. Berwyn Peet - 'A terrific read from a master story teller...it is one of the best-crafted and most captivating novels I have read this year.' Click here to read the full review. Kath Martin - 'Having thoroughly researched the workings of a mill, Diane has woven her threads into a superb finished article. I just hope it's not too long before she writes another one.' Click here to read the full review. Sue Broom - 'There is much here to enjoy. I loved reading everything she had to say about rooks and their behaviour, the folklore surrounding them and their persisting association with death.' Click here to read the full review. 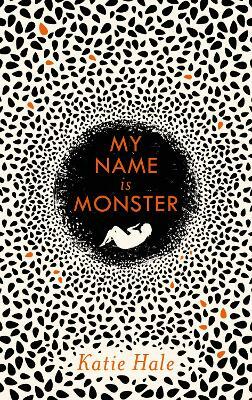 Lynn Curtis - 'Jonathan Strange meets Mr Selfridge in this blacker than black morality/fairy story.' Click here to read the full review. Richard Hamlin - 'This is a beautifully written novel, full of vivid description and metaphor; in fact Bellman & Black is, in essence, one great metaphor.' Click here to read the full review. 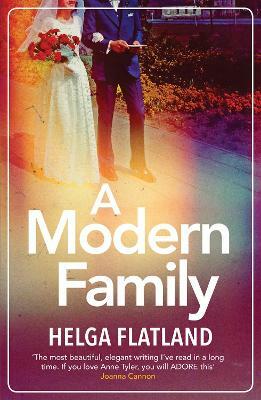 Lisa Redmond - 'This novel is a glorious return for a wonderful and talented writer.' Click here to read the full review. Jane Carter - 'Lovely Victorian period details, a wonderful atmosphere, and a feeling of foreboding that never quite goes away.' Click here to read the full review. Lindsay Healy - 'The gradual unfolding of events, the shadowy, ghostlike figure of Black and the discovery of Bellman’s destiny all rendered this an intriguing, mysterious and compulsive read.' Click here to read the full review. Jill Peters - 'I learnt so much about the everyday trials of Victorian life facing William Bellman, striving to reach his vision and ambitions for his future success. But most of all, I learnt about the common and garden rook. They are not what they seem to mere human beings. I will watch my back and treat them with the utmost respect in future.' Click here to read the full review. 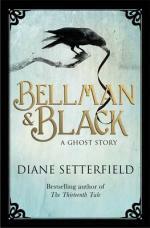 Carolyn Huckfield - 'Bellman and Black is a funeral service like no other in Victorian England. What is the mystery that surrounds it? An amazing read with a Victorian backdrop.' Click here to read the full review. Vanessa Wild - 'An unusual, atmospheric and disturbing story set in the Victorian era. I will never look at a rook in the same way again!' Click here to see the full review. Sarah Musk - 'A mysterious, dark book with a sense of unease pervading the whole story. William Bellman commits one rash act as a young boy which has a terrible impact on his adult life.' Click here to resad the full review. JB Johnston - 'A creepy and brooding type of story with an undercurrent of something lurking. Very well written.' Click here to read the full review. Kathy Howell - 'This has enough mystery to keep the reader interested but is a very easy read. I enjoyed this book and will look for others by this author.' Click here to read the full review. Josie Barton - 'Bellman and Black is a quietly reflective novel which explores the Victorian’s morbid fascination for death, and in doing so, uncovers an unusual story about the pain of bereavement.' Click here to read the full review. Teresa Majury - 'it's well written, you'll learn something about rooks and it captures the Victorians' morbid fascination with death but it left me cold.' Click here to read the full review.